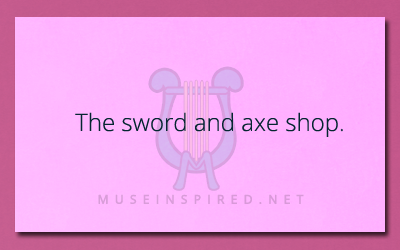 Describe what a sword and axe shop might look like. Describe the Setting - A den of taxidermy animals. Siring Settings - Describe the contents of the walk in freezer at the weirdest restaurant in town.